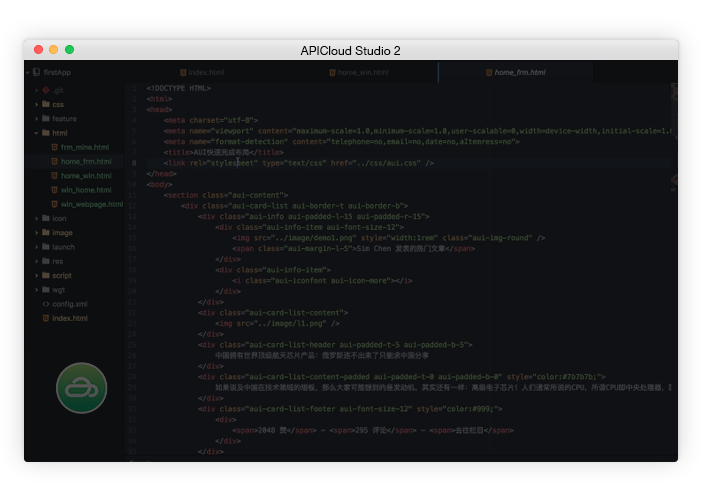 APICloud Studio 2 is an integrated dev tool designed for front-end engineers. It's customized based on Atom and is incorporated with APICloud's various online mobile dev services, which makes it the perfect choice for mobile dev! Sublime APICloud Plugins is an open source plugin APICloud provides to developers, including features such as app management, app framework,page template,templates & frameworks, code prompter,code management, widget packaging, device synchronization,log output, Customized AppLoader management. New plugins will be continuously added. These plugins have been included in the Package Control and can be downloaded in Sublime Text3. All plugins are open source, and can be customized by developers. 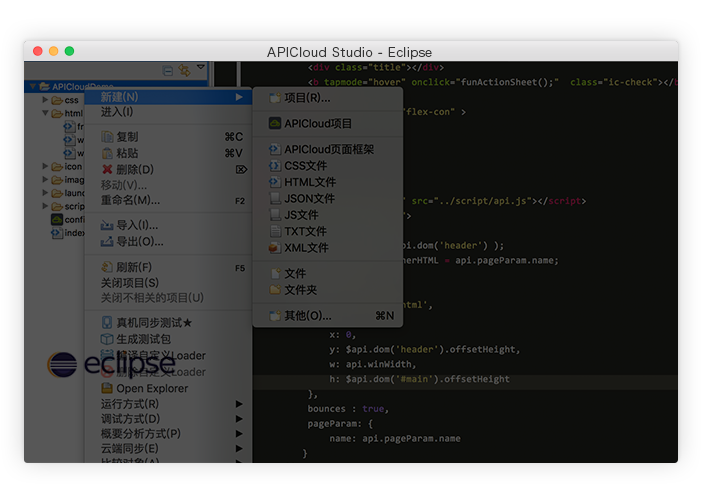 Eclipse APICloud Plugins is based on Elipse and Aptana Studio3, featuring app management, templates & frameworks, online synchronization, code management, code prompter, packaging, device synchronization, AppLoader management, Customized AppLoader packaging. Enterprise and individual developers can customize their own APICloud dev tool based on the open source code. 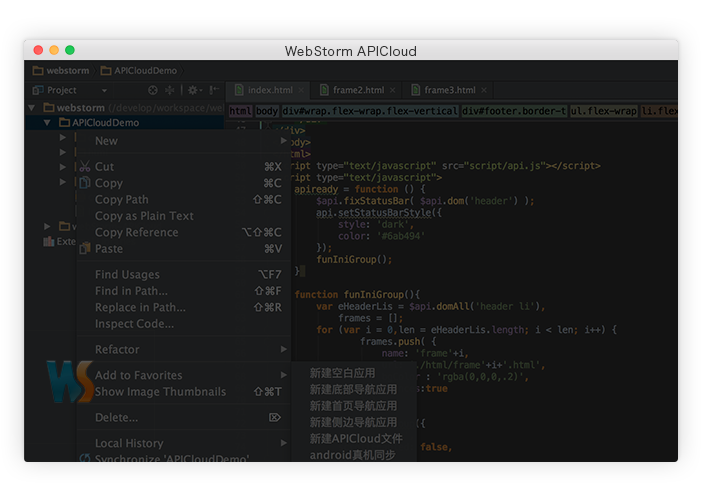 WebStorm APICloud Plugins are open source plugins APICloud provides to developers, featuring app management, app framework, page template, code prompter, code management, widget packaging, device synchronization, log output, customized AppLoader management. New plugins will be added continuously. 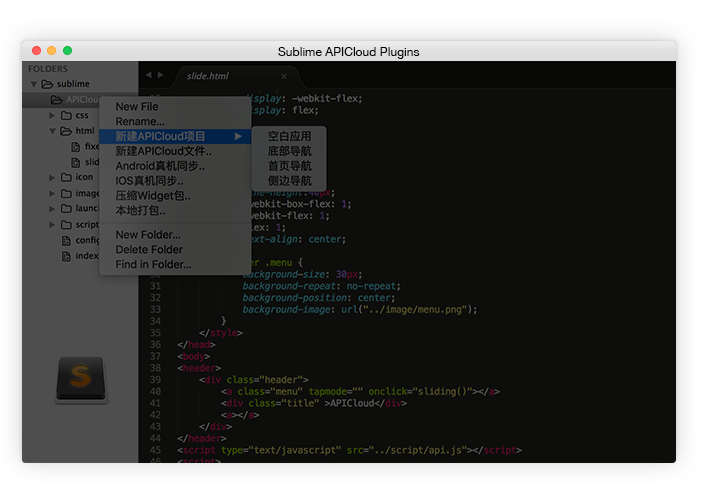 The plugins can be downloaded to your WebStorm and be customized. 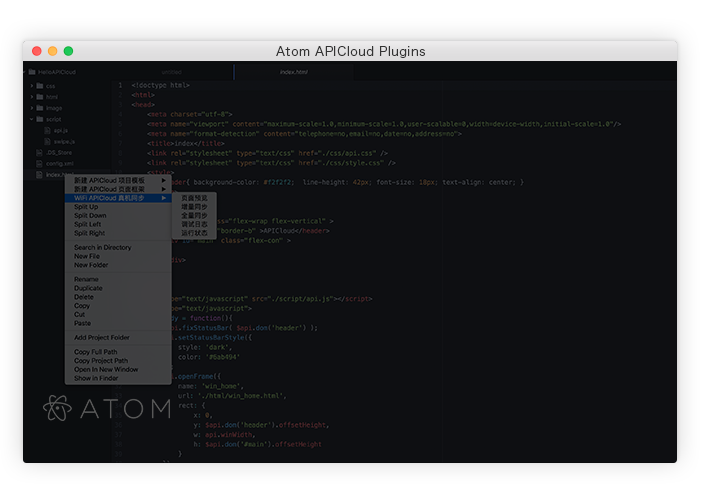 Atom plugin is based on nodejs, featuring app framework and template, code prompter, WIFI sycn, wifi log output and many more functions. The plugin has been included by atom.io. Developers can search and download it in Atom. The plugin is open sourced and allows customizations by developers. 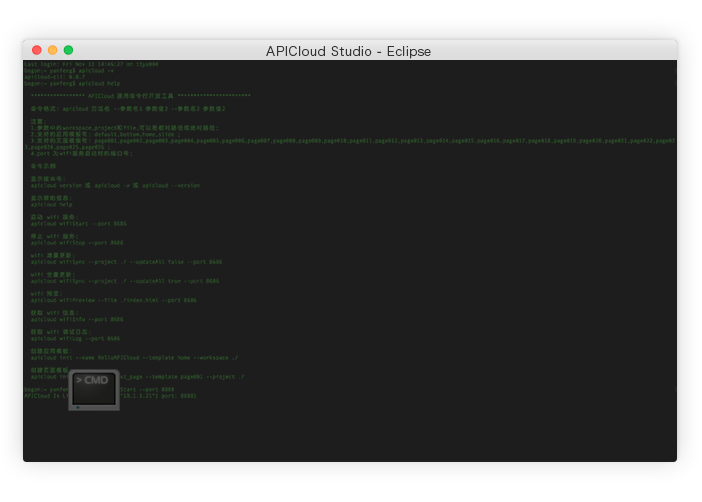 APICloud CLI is an open command line based on nodejs, featuring creating app framework and page template, WIFI sycn, WIFI log output, customizable WIFI port, etc. The plugin has been included in npmjs. Developers can search and download it by entering npm install -g apicloud-cli in the command line. The plugin is open sourced and allows customizations by developers. APICloud uses standard HTML techonology and makes a lot of extensions for standard browser engine. The development process is similar to developing web apps, which involves HTML editor and browser while develping APICloud appsrequires an HTML editor and AppLoader. 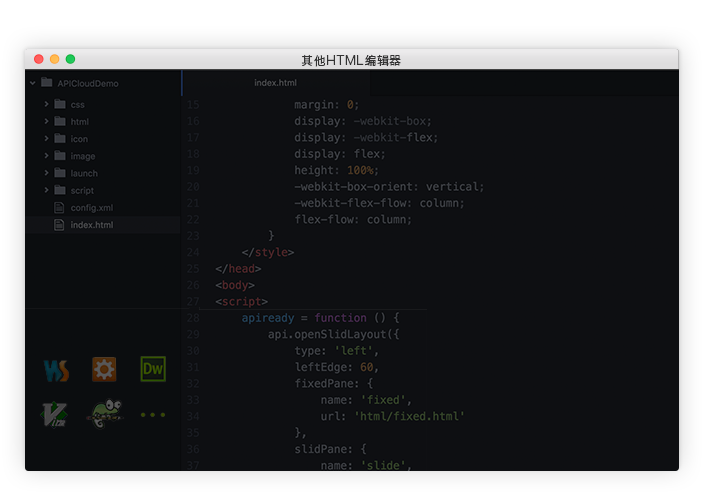 Any HTML editor is applicable.